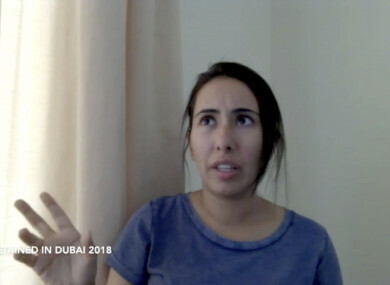 This undated image from video provided by Detained in Dubai shows Sheikha Latifa bint Mohammed Al Maktoum. Human Rights Watch has urged the Dubai authorities to reveal the whereabouts of the princess, saying her case could constitute “enforced disappearance”. Email “'Admit she was kidnapped' - Concerns raised over disappearance of Dubai princess captured at sea”. Feedback on “'Admit she was kidnapped' - Concerns raised over disappearance of Dubai princess captured at sea”.